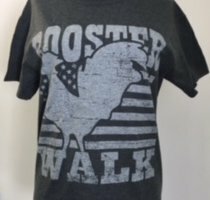 You can start planning your Rooster Walk weekend down to the minute! That’s right, the band schedule is officially out!! 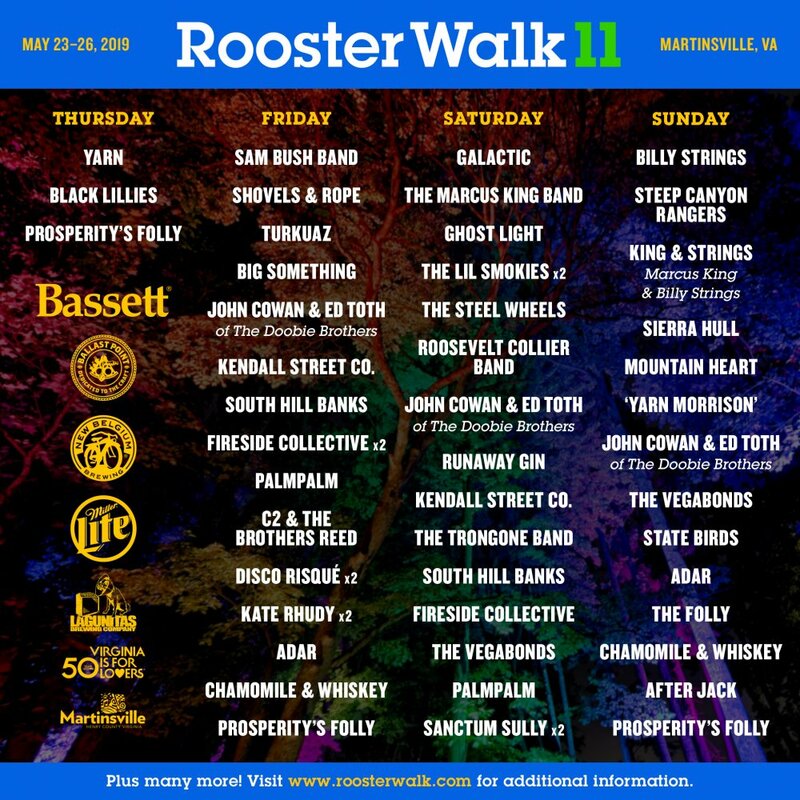 Rooster Walk 11 will take place May 23-26, 2019 at the idyllic Pop’s Farm in the rolling hillsides near Martinsville, Va. Click here for a Full List of Bands. 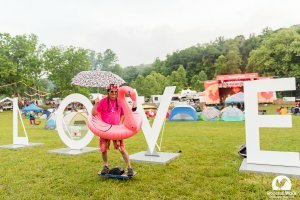 The festival features beautiful on-site camping, food, art, crafts, a lauded kids’ area and outdoor activities. Ticket prices will never be cheaper, and you can get all the ticket info HERE. Prices will increase based on quantities sold.